An interesting sub genre of action/crime films has emerged in recent years centering on people considered over the hill who seem to be unlikely criminals and/or action heroes because of their age. 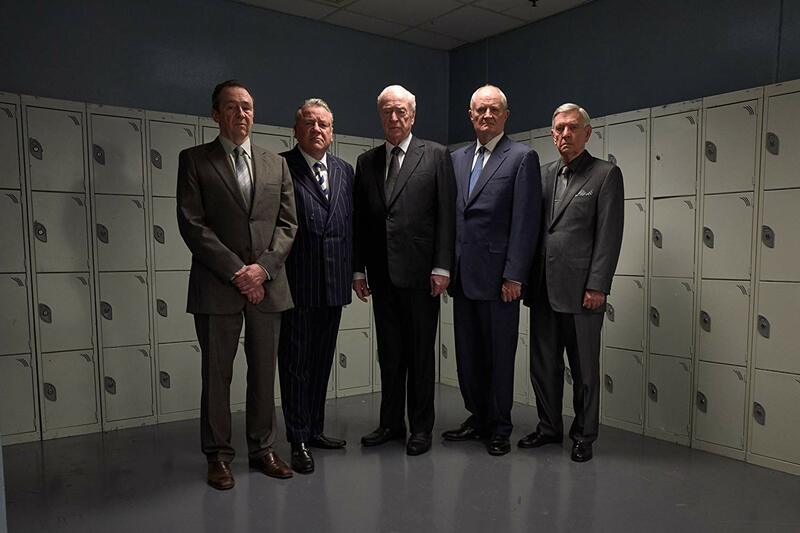 From Bruce Willis and his graying cohorts in 2010’s RED, Stallone’s well worn EXPENDABLES, all the way to Robert Redford’s swan song with last year’s THE OLD MAN WITH A GUN, there is something fascinating about older folks rejoining the underworld fray for “one more job.” In James Marsh’s latest effort KING OF THIEVES, Michael Caine- no stranger to such nefarious storylines- joins the club as a cunning, but tired, career criminal whose latest caper may or may not be his last. Based on a true story, Brian Reader (Caine) is an aging burglar who promised his recently deceased wife that he would stay out of trouble after she is gone. When a rookie thief presents an opportunity for the perfect crime, Reader reassembles his old crew of crooks to pull off the penultimate diamond heist. However, instead of reveling in their misappropriated good fortune, the weathered men let mistrust, ego, and greed interfere with their lucrative plan. Marsh does a wonderful job tipping his hat to classic British crime films of the ‘60s and ‘70s with deliberate use of cutaways to footage from capers of the era- including poignant clips of featuring younger versions of his impressive cast of actors. The use of a strong score reminiscent of the genre’s heyday paired with ‘60s R & B tunes also accentuates the nostalgia factor while keeping the film moving along. Though Marsh takes his time with the story, the obligatory heist scene hits all the right notes as the crew blunders their way to their prize. Dynamic editing complete with freeze frames and wipe transitions also helps to keep the film upbeat. All these bells and whistles are very necessary to balance the surprisingly dark storyline. 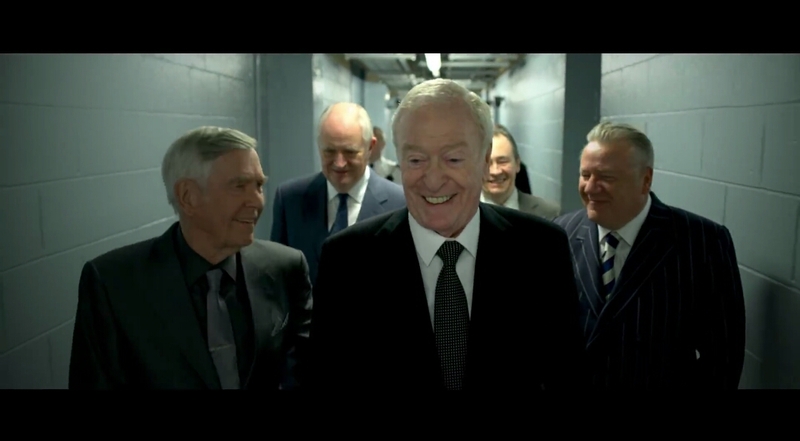 KING OF THIEVES is not a feel good film about a group of endearing curmudgeons with soft sides hiding under a hardened demeanor. No, this group of crooks are ruthless, greedy, and have very few redeeming qualities. While their respective flawed natures make each member of the elderly crew somewhat relatable, Marsh makes no qualms about their seedy personalities and lack of integrity. The level of honesty in the portrayal of the main characters makes for a fascinating story even as it lacks any real sense of resolution. Michael Caine is terrific with his famous cockney on full display. His character is definitely more melancholy and thoughtful than his menacing counterparts, and Caine gives a sense of honor among thieves amid the moral deficiency of his cronies. 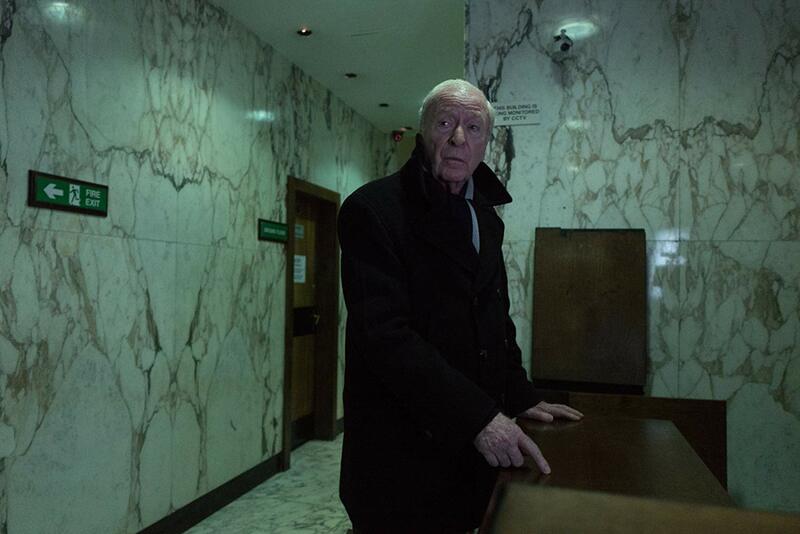 Caine’s solemn and wistful performance feels almost meta as his character contemplates his long career and success while also facing its inevitable end. 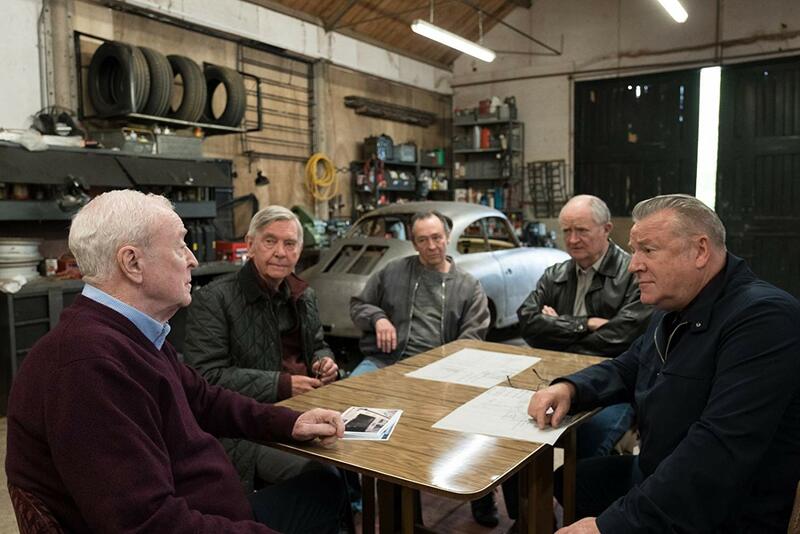 Among the group of baddies, Ray Winstone and Jim Broadbent stand out as the baddest of the bunch. 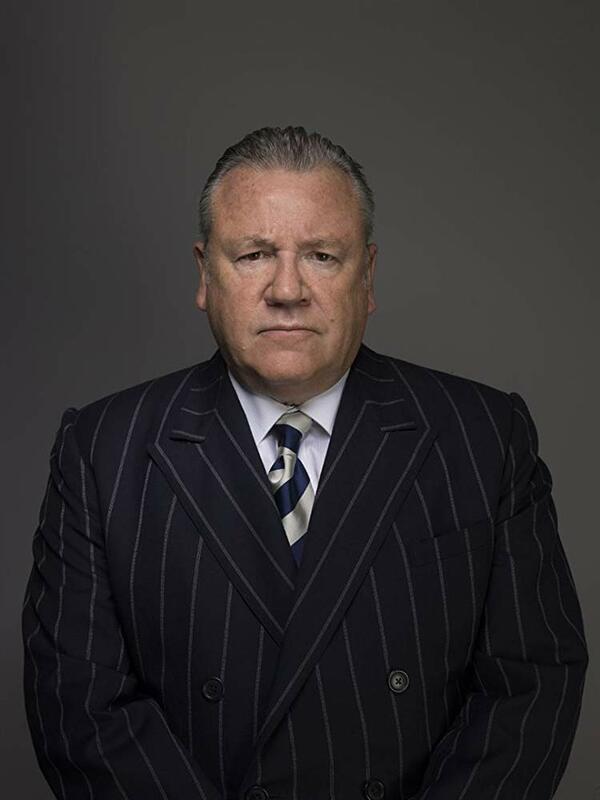 Winstone’s usual intensity is on full display as he aptly captures the intimidating manner of his loose cannon character. 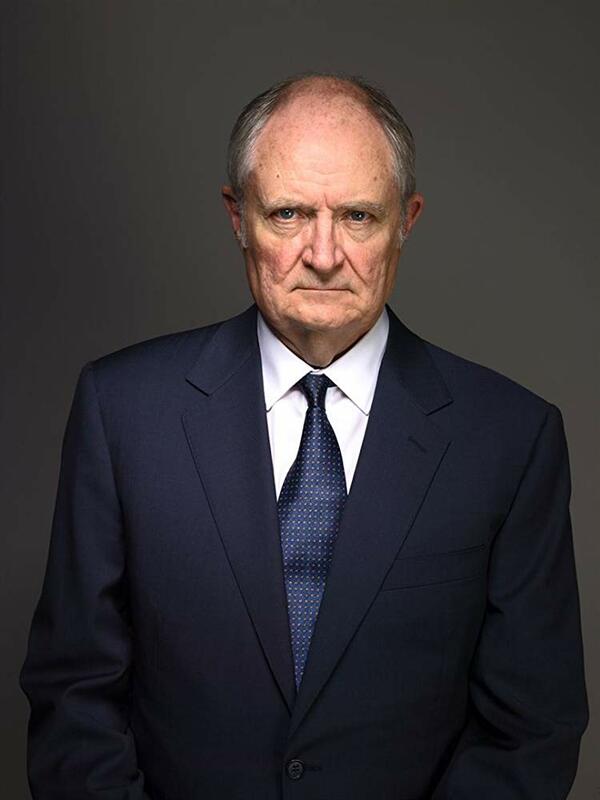 Perhaps the most startling performance comes from the usually amiable Jim Broadbent. His take on the aging gangster is down right terrifying at moments with his unnerving wide-eyed anger and subtle but effective strong arming of various accomplices throughout the film. I was blown away by his portrayal as much as I was disturbed. 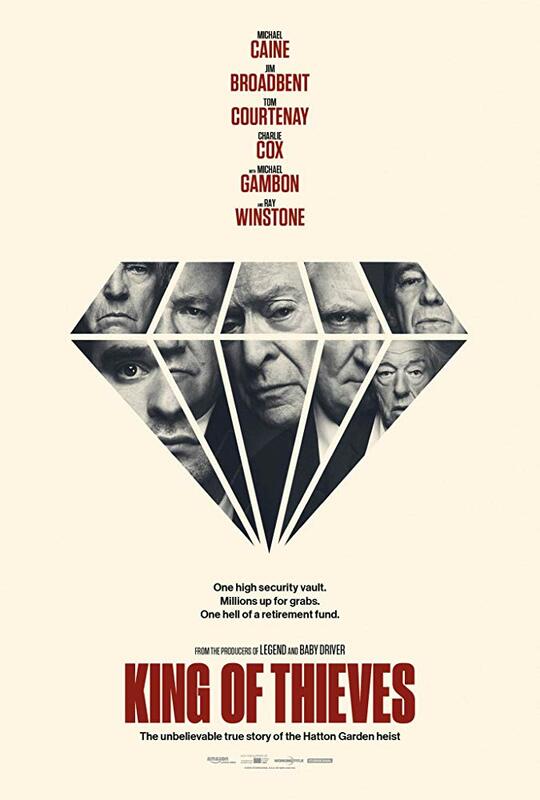 On one hand KING OF THIEVES is a slick, upbeat heist film with all the usual beloved hallmarks of the genre. On the other hand the film is a dark and unsettling story about questionable character and paranoia getting the best of criminal pros. While I enjoyed the nostalgia aspects paired with the nuts and bolts of the actual thieving, I have to admit that the gloomy spiral the group brings upon themselves left me pretty depressed. 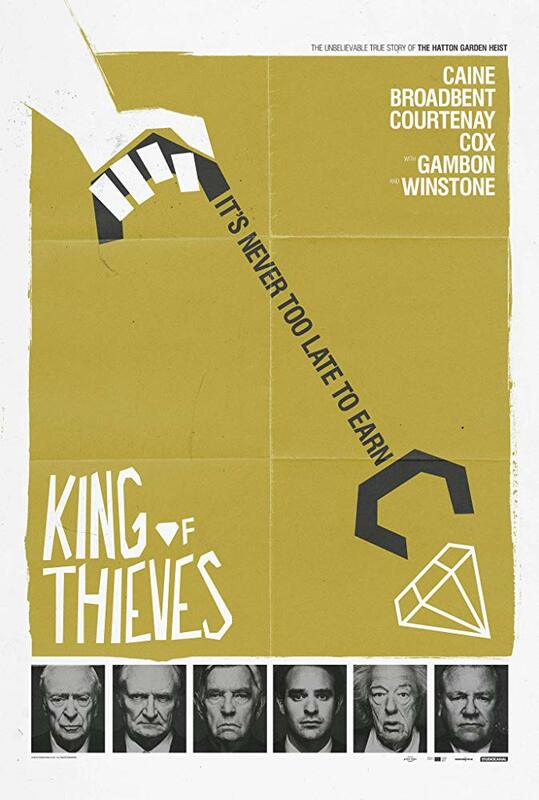 Despite the downer though, KING OF THIEVES is a fascinating real life story from the London crime underworld. The film opens in theaters on 1/25.